[ From enclosed printed letter] The Grolier Society, 50 Great Russell Street, London, WC, 1902. Prospectus, pp., cr. 8vo, decorative coloured wraps, arabic style, some gilt, rusted at staples, "Printed for Subscribers Only". Hf-title;  Swinburne poem to Burton;  titlepage; [4-19] description of the book and various aspects; [[20-2]] Specimen pages;  Previous publication by Grolier (=Charles Lever);  blank. Two plates (ilustrations) loosely inserted. Other enclosures are: A Substantial printed letter signed G.
William Burton Stewart's privately-printed notes on his wife's family history, titled 'The Westmacotts', featuring Sir Richard Westmacott, Oliver Cromwell, Bernard Blackmantle, Dame Juliana Berners, Sir Cornelius Cuyler. Privately-printed. Marine House, Alnmouth, Northumberland. June 1929. For information on Lt.-Col. William Burton Stewart – Cambridge double Blue (rugby and rowing), war hero, traveller, genealogist – see his obituary in The Times, 8 June 1936, and his entry in Who Was Who. The present item is a separate issue of the third volume of Burton Stewart's notes on his 'Family History'. 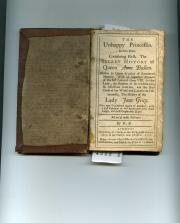 Only The National Library of Scotland holds a copy of this third volume, and no other copy of any of the three volumes is to be found, either on OCLC WorldCat or COPAC. The first two volumes, 1925 and 1928, presented the results of his researches into the Stewart family. 53pp., 4to. [ Derek Middleton (1917-1983), English 'Tachiste' Abstract Impressionist painter. ] Collection of material including his unpublished autobiography 'How To Be An Artist', familhy photographs, autograph inventory of paintings and 'Weekly Accounts'. London, Paris and other locations. Between 1945 and 1995. There has been a recent resurgence of interest in the work of the English 'Tachiste' artist Derek Middleton (full name Derek Osborne Middleton), but the fact that he lived in France from 1958 to his death in 1983 has restricted the English-language source material relating to the artist, even leading to his date of death being given incorrectly as 2002. [ Arabella Buckley, author and science educator. ] 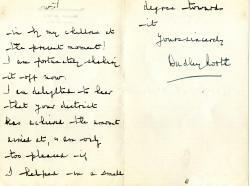 Autograph Letter Signed ('Arabella B Fisher') to 'Miss May', arranging a meeting. On letterhead of Fircroft, Park Town, Oxford. 17 February 1910. 2pp., 12mo. Bifolium. In fair condition, lightly aged. She has been informed by 'Miss Mildred Jones' that May is 'an out-student at one of the Oxford colleges, and that you would probably like to come and see me'. Lincoln's Inn [ London ]. 1858. 10 items. In good condition, lightly aged and worn. All but the last in manuscript. ONE: 'Copy of Order on Call to the Bar', Lincoln's Inn, 'Dated Michas Term 1858.' 1p., 8vo. Signed at foot 'Ml Doyle | Steward.' Reads: 'At a Special Council there held the Sixteenth day of November, in the Twenty second year of the Reign of our Sovereign Lady Victoria, and in the year of our Lord One thousand eight hundred and fifty eight. [ Charles Burton Wyatt, son of the architect James Wyatt. ] Autograph Letter Signed ('C: Wyatt') to 'Charles James Esqre', regarding financial matters. 1 Foley Place [ London ]. 9 February 1812. 2pp., 12mo. Bifolium. In fair condition, lightly aged, with neat spike hole. Addressed, with remains of red-wax seal, to 'Chars James Esqre | Upper Wimpole St'. The letter concerns 'a person' who has 'been in possession for 66£ 15s at the Suit of Henry agt my Father'. A mistake has occurred as he 'sent this Sum to your office instantly I received notice from you daterd the first Inst.' He asks him to 'direct the necessary Steps to be taken'. [ Percy Burton, ] Typescript of an unpublished play titled 'His Majesty', 'Adapted from the French'. Three addresses including 'Percy Burton | 18, Harley Rd. 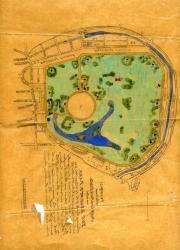 | Hampstead NW3 [ London ]' and 'Please return: - | Percy Burton | The Royalton | 44 West 44th St | N Y City'. Undated. 94pp., 4to. Bound through punch-holes into green card 'Ludgate File'. Text on rectos only. Several addresses given for Burton in manuscript on cover of folder, and another at foot of first page. In good condition, on lightly-aged paper, in aged and worn file. Next to the phrase 'Adapted from the French' Burton has added in autograph 'Very roughly', with 'Note: - Costume or ordinary modern dress' at foot of first page. A few minor autograph emendations to the text. [ Percy Burton, impressario and playwright. ] Typescript of verse-play titled 'A Day-Dream in Japan' ('A Playlet'). In manuscript on cover: 'property of Percy Burton | c/o The Royalton | 44 West 44th | New York City'. Undated, but Written in 1900', and published in Boston in 1916. + 28pp., 4to. In good condition, on aged paper, bound with studs in worn light-blue paper wraps. In manuscript at foot of title-page: '2nd carbon'. The following is typed beneath the title, and has been deleted in pencil: 'Written in 1900 and Dedicated to Baroness de Grandcourt, to whom he is indebted for the idea'. With a few manuscript emendations. This piece was published in Boston in 1916. [ Percy Burton. ] Typescript of unpublished play 'The Lady Killer', 'Rough adaptation of Aime des Femmes'. 107pp., 4to. With each of the play's three acts bound with brass studs in separate grey paper wraps, with typed labels on covers. Internally in good condition, with light signs of age, in aged and worn bindings. With a handful of minor manuscript corrections. ' Aimé des femmes! Pièce en trois actes' by Maurice Hennequin and Georges Mitchell, was published in Paris in 1922..There is no record of Burton's adaptation having been published. Item Three below does not name the translators, while Items One and Two do not. Item Three has the characters' names anglicised and the text more stilted than that of One and Two. In fair condition, lightly aged and worn. ONE: Typescript of the whole play, with each of the three acts bound separately. 127pp., 4to. The first two acts bound in grey card wraps, with typed labels on covers, the unbound leaves of the third act attached with a brass stud. First two acts with stamp of Miss Christian of the Trafalgar Type Writing Office, London. [ F. Britten Austin, novelist. ] Typescripts of acts I and 3 of his unpublished only play, 'The Thing that Matters'. With numerous manuscript additions and directions, plus extra typed material. F. Britten Austin, Northgate House, Bishops Stortford, Herts. Undated [ circa 1921 ]. 126pp., 4to. (Act 1 has 55pp. and Act 3 has 71pp.) Each act bound in grey card covers. Worn and aged, with the remains of the purple ribbon used to bind the leaves into their covers. A heavily reworked typescript. As is customary, the typed text of the play is on the rectos only, but leaves with additional typed and manuscript (presumably autograph) text have been inserted. Numerous manuscript additions and deletions to the text on the rectos, with additional typed passages on pieces of paper laid down onto the facing versos, which also carry further manuscript changes. [Printed poster.] Wonders of Many Lands. Burton's "Old Curiosity Shop." The African Room. Savage and Civilized Products. Glimpses of the World. A native of Scotland, Burton set up a china business in Falmouth in 1862, but soon turned to the sale of unusual items from around the world, purchased from sailors, his shop acquiring an international reputation and royal patronage. Printed on one side of a piece of pink paper, 38 x 25.5cm. A frail survival, on aged and worn high-acidity paper, with loss and chipping to the margins, and a few closed tears, but with the text complete. F.F. Arbuthnot, orientalist (DNB), associated with Richard Burton in founding the Kama Shastra Society. 18 Park Lane, Piccadilly, London, 4 Dec. 1890. Legal documents relating to a Chancery suit, between Richard Elisha Farrant and the Trustees of the Archer Burton Estate, concerning the property No. 2 Park Square, Regent's Park. 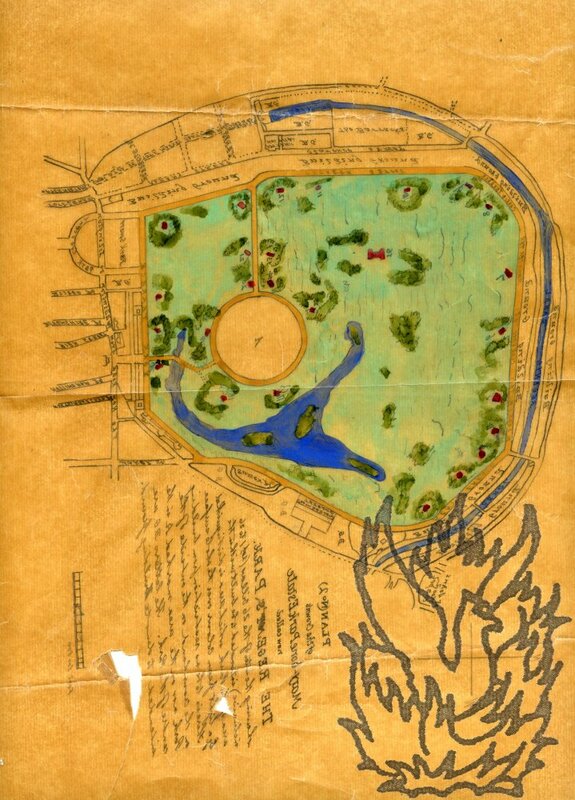 Including manuscript map. Item One: Manuscript of requisitions by Farrant the purchaser's solicitors Ashurst, Morris, Crisp & Co of 17 Throgmorton Avenue, London E.C. Dated 31 July 1895. Titled 'Requisition Title [and Replies] | Trustees of Archer Burton Estate to R. E. Farrant | 3 [corrected to '2'] Park Square West'. Three pages and covering page, on one side each of four leaves each 41.5 x 34 cm. Text clear and complete. Fair, on lightly-aged and grubby paper. 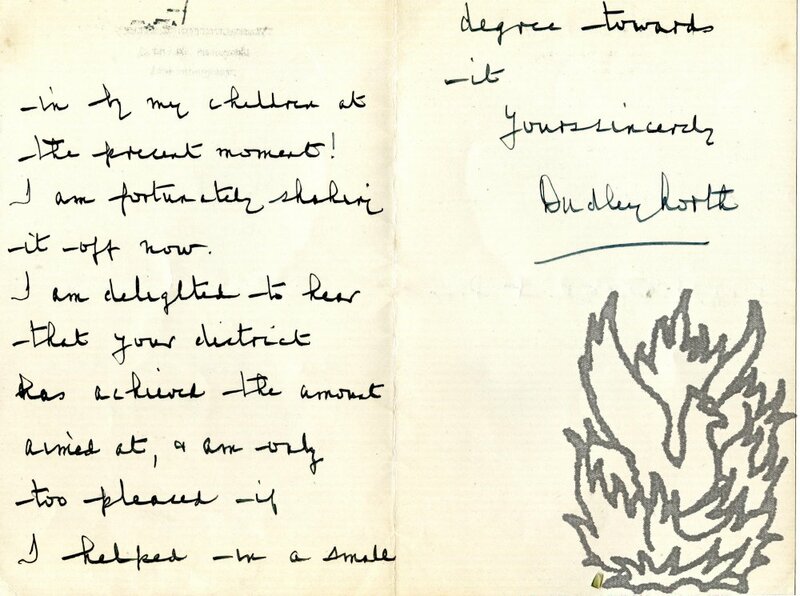 Autograph Letter Signed ('Dudley North') to 'Miss Perkins'. 23 May 1941; on letterhead of Warblington Castle, Havant, Hampshire. 12mo, 3 pp. Good, on lightly-aged paper with small light stain to one edge. He has 'been laid up since the party with what appeared to be much the same brand of whopping cough as that indulged in by my children by the present moment!' He is 'shaking it off now' and is 'delighted to hear that your district has achieved the amount aimed at', and is pleased to have 'helped in a small degree towards it'. Written a few months after North's return home in disgrace, after allowing a French squadron pass the Strait of Gibraltar without harrassment in September 1940. The Unhappy Princesses. In two Parts. 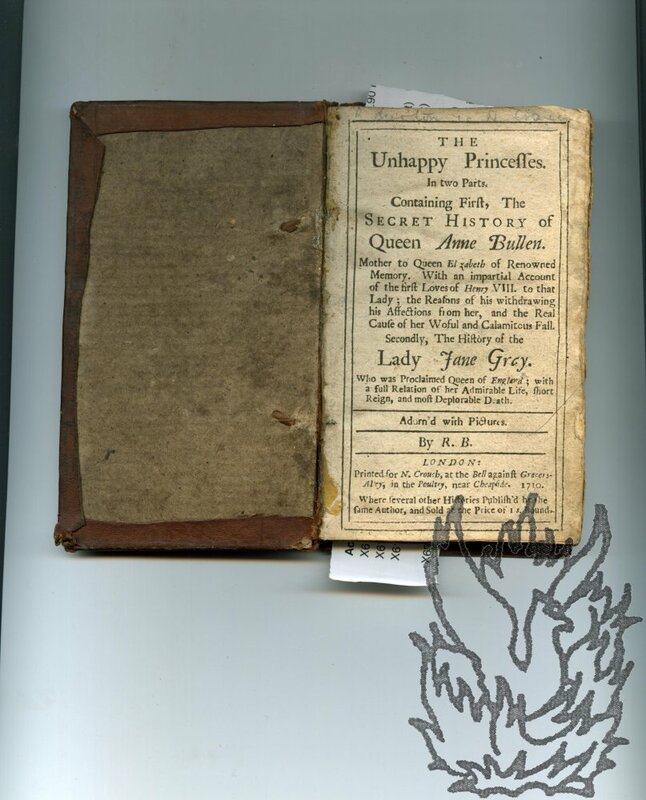 Containing First, The Secret History of Queen Anne Bullen. [...] Secondly, The History of the Lady Jane Grey. [...] Adorn'd with Pictures. London: Printed for N. Crouch, at the Bell against Grocers-Alley, in the Poultry, near Cheapside. 1710. 12mo: 159 +  pp. (Publisher's catalogue of 'Books Printed for Nath. Crouch at the Bell against Grocers-Alley in the Poultrey near Cheapside.' begins at foot of p.159 and continues for nine unpaginated pages, ending 'FINIS.') Lacks frontispiece. Woodcuts on pp.26, 61 and 121. In worn original calf binding. No endpapers. Aged and with worn fore-edge. Separate title to second part on p.89 ('The Secret History of the Lady Jane Gray', 'London: Printed for Nath. Crouch. 1710.') Scarce: COPAC only lists reproductions, with the note: 'R.B. Date and place not stated [c.1820]. On piece of paper roughly three and a half inches by three wide. Good, lightly aged with a little creasing to one corner. Pleasant armorial design within floral arrangement. Motto 'VIGILANS' on scroll above 'Sir Richard Burton' in copperplate at foot. Indentation of plate around edge. A clean copy, on good thick paper, of an engraving, three versions of which are in the National Portrait Gallery (NPG D8332, NPG D8333, NPG D8334), where they are dated 1889, and described as being etched 'after a photograph originally published in the Pall Mall Gazette 'Grand Old Man' extra'. Dimensions of paper roughly nine inches by six, dimensions of image roughly five inches by four. Burton's signature is faintly etched at the foot of plate, and the print is docketed in pencil 'W E G' at the foot of the paper, with 'Burton 1/-' on reverse.